The red and white sign [center left] announces an auction of the contents of the weed strewn Joe Muer's Restaurant. 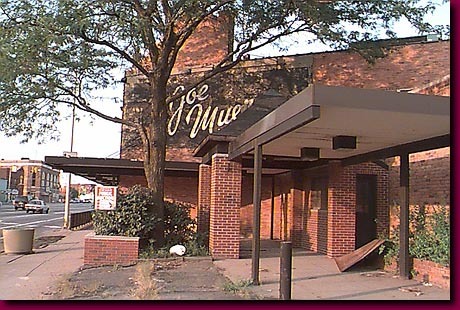 Once the meeting place and watering hole of Detroit's rich and powerfu,l Joe Muer's Restaurant now awaits demolition. Note: Joe Muer's was demolished in 2002; the lot where it stood is vacant.